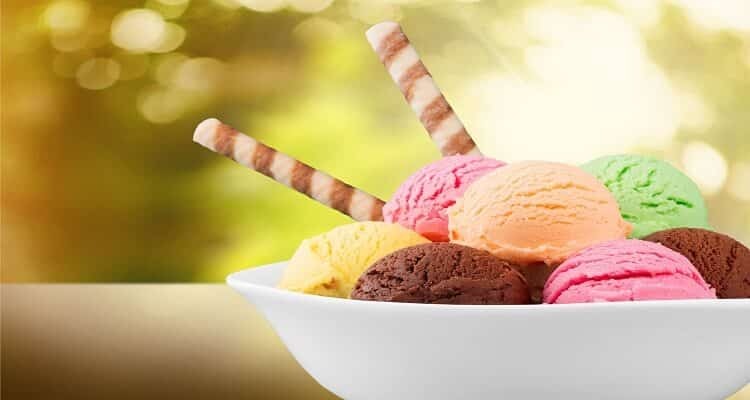 Ice creams act as the famous weakness for everyone around the world. It has the ultimate power of making a person smile which even out of another person’s capabilities. Ice creams have created wonders in an individual’s life as it is considered as a life savior in times of sadness, heartbreaks, moments of nervousness, heredity etc. the very famous quote “ I Scream, U scream , We all scream for ICE CREAM” acts as a slogan for each and every child all around the world. Indeed there are various basics flavours in the world which are irresistible every time it has been consumed over and over again. All berries include the flavours of all the available berries in the world either individually or in a form of sundae. Berries are loved by everyone and are kind of sour to taste. Berries are mostly in the form of sorbets and are used as add on for vanilla to enhance their flavours. Berries are more used with the baked products as a sider or as a topping for panna cotta etc. Roasted pecans, butter and vanilla are usually observed in this flavour. It is very famous in the United States and is consumed enormously. It is usually used in baked products such as cakes and muffins to enrich the flavour. Sometimes the pecans are even exchanged with almonds and named it as butter almonds which tastes quite similar to butter pecans. Coffee ice cream are very famous with the adults as it is not much preferred by the young children because of it slight bitter taste. Coffee is considered to be refreshing and served with most desserts which includes cakes and muffins into it. This flavor of ice cream is manufactured with marshmallows into it which is the highlight of this flavor. It is liked my most of the children and adults as well. It consists of almonds, marshmallows and is either blended with vanilla or chocolate flavor as preferred by the consumers. Mint flavored ice cream is the best dessert to be consumed after dinner as it enhances your daily dinner flavours and refreshes you with every single bite of it. It has the power of replenishing the taste buds to new extremes and leading into a new world of freshness. Even though it being a very simple ice cream, people crave for it like maniacs. Its demand is never ending in the world of ice creams. It is a regular simple blend of vanilla ice cream and Oreo cookies or biscuits crushed into vanilla creating an exotic looking ice cream flavor for all. It can be served not only for desserts but can be prepared as milkshakes for breakfast for children who doesn’t like milk. One of the most consumed and liked flavor of all is chocolate chip ice cream flavor. It is a simple blend of either vanilla or chocolate ice cream with chocolate chips introduced into it. This category of flavor has numerous varieties included into it. It can be combined it each and every flavor possibly made in this world and it tastes better with every other flavor. Chocolate chips can be made of chocolate, dark chocolate, milk chocolate, white chocolate or a mixture of dark and white chocolate and the can be accumulated with different flavours of ice creams. As this ice cream being in the color pink it is most liked by the girls from the very childhood. It has been nurtured and cherished by every girl around the world. Not only girls but now a days it is preferred by guys too cutting down the gender differences. Strawberry is one of the product of berry community yet it stands out than others due to its popularity and taste for the matter of fact which is outstanding than others. As it is, there is no need for any description for this flavor of ice cream. It is known as the father of all ice cream flavours and can be blended with each and everything possible. It is considered and said that, after dinner the desserts is not complete with a piece of chocolate into it. Chocolate is the god of all desserts and sweet cuisines. It nurtures the dish and sends it to a very next level of tastes. As being the top most liked flavor of ice cream it is very simple on its own. As chocolate is known as the father of ice cream flavours, vanilla or I must say French vanilla is known as the mother of all. Thought being a very simple one in terms of color it is very rich in its flavor. It can be accommodated it anything possible and wont taste bad at all. It acts as a savior for all sweet dishes and desserts.